– Find out why the vehicle check-engine light is on. – Discuss with you related symptoms, possible causes and whether your vehicle needs urgent servicing. – Discuss the recommended course of action to repair your vehicle if needed. – Reset the check-engine light. One year 12,000 mile warranty on parts and labor. We stand behind all services we perform. Why is Regular Engine Maintenance Essential For My Vehicle? -Your regularly scheduled oil change may be due. 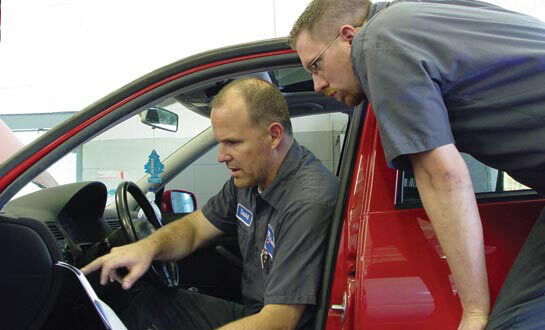 -Sensors in your vehicle may need to be reset or adjusted. -Your vehicle may have engine, electrical or computer performance problems. Your vehicle’s dashboard lights are the key source of information. If your check-engine light is on, you should have your vehicle inspected and/or serviced as soon as possible. Engine checks should be a regular part of your vehicle’s annual maintenance, even if the check-engine light is not on. This will provide for maximum safety and reliability for your vehicle.